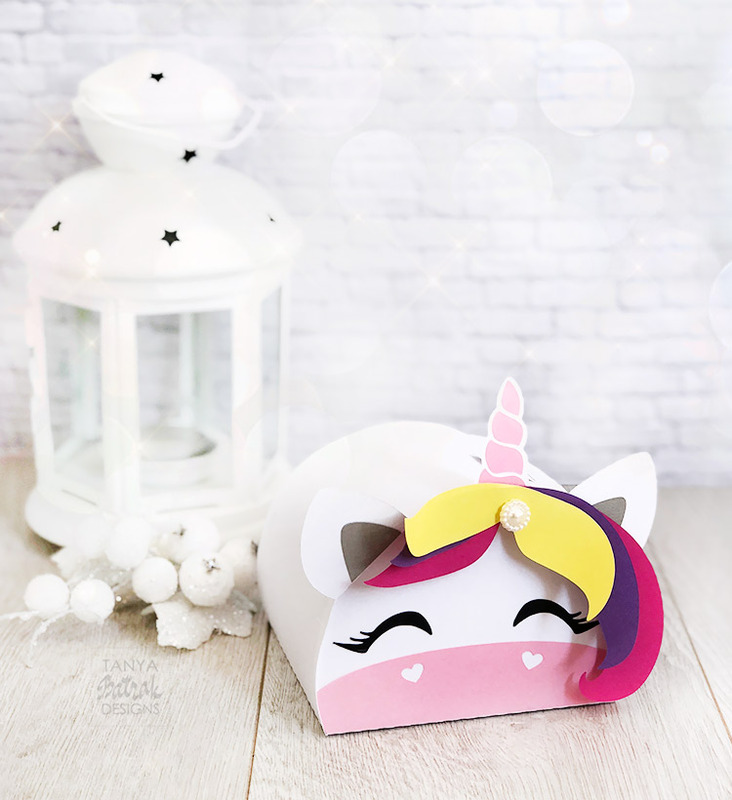 Enchant friends and family with a magical unicorn treat box. 1. Cut the design pieces. 2. 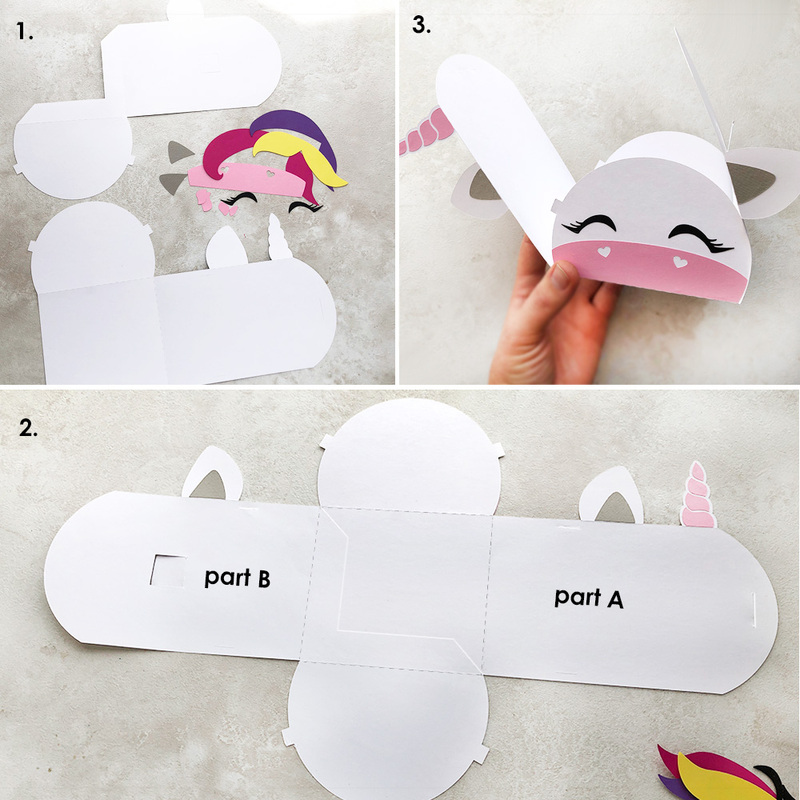 Glue the part B to the part A. Attach the ear and horn pieces. 3. Flip the base over and attach the pink nose and the eyes. Fold the base at the score lines. Slot the four tabs through the corresponding slits. Close the box and insert the big tab on the top through the corresponding slit. 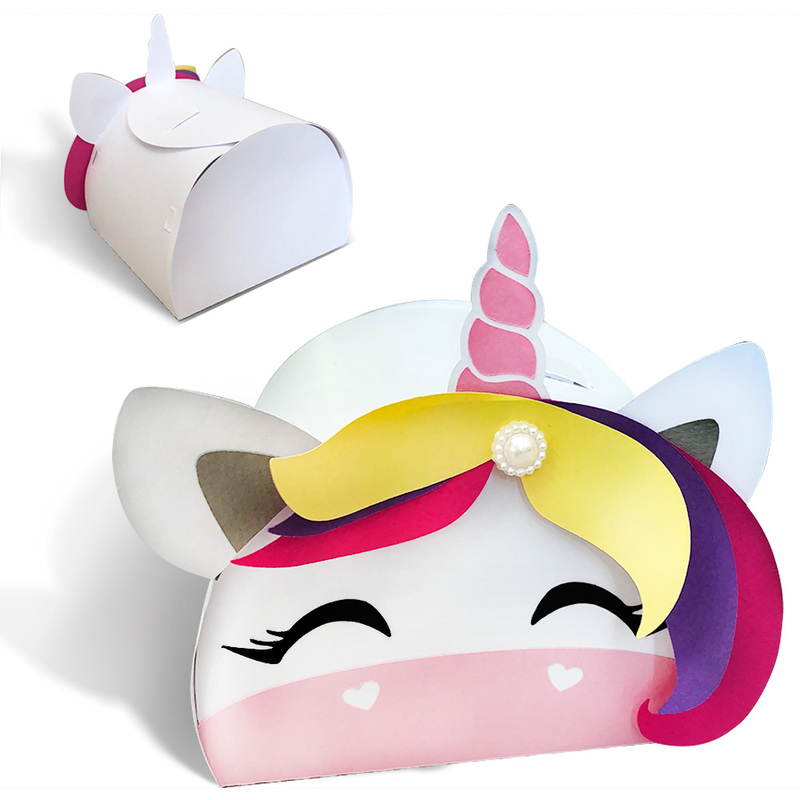 Attach the unicorn hear to the horn.